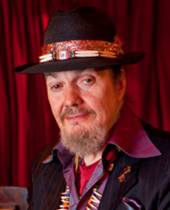 Supported by a 50-year music career that began at age 15, Dr. John has earned the stature to command center stage. And he has developed the confidence to use that stage as a pulpit, capitalizing on his fame and credibility to shine a light on the issues he holds dear. As part of the collaborative Voice of the Wetlands, he supports funding and awareness for the Gulf coast. And in the months following Hurricane Katrina, incensed at destructive special interests and the inadequate response of government agencies, Dr. John went into action, organizing fundraising concerts and releasing the benefit album Sippiana Hericane. On City That Care Forgot, Dr. John tapped some of the rich connections he established throughout his career, and assembled a diverse group of musicians (Eric Clapton, Willie Nelson, Ani DiFranco, Terrence Blanchard, Trombone Shorty and others) to contribute and share his voice. Drawing on his years of experience as an artist and New Orleans resident for City That Care Forgot, Dr. John unabashedly tackles controversial issues and gives voice to complex emotions that are rarely expressed. We don’t always know what’s in front of us when we’re young, but as we age our vision becomes clearer. And what Dr. John has discovered as he’s grown older is that it is much easier to ‘see’ what is truly important and worth fighting for. Dr. John… Peoples Health Champion.